According to the American Society for the Prevention of Cruelty to Animals (ASPCA), a puppy mill is a commercial dog breeding operation that prioritizes profits over animal care. The dogs in these facilities often suffer from extreme physical neglect and emotional deprivation. The impact of a puppy mill extends beyond a puppy and its new family. In a case noted by the Nevada Legislature , the economic impact of shutting down just one puppy mill cost one community over $330,000. An editorial originally published by Villanova University also notes concerns about the environmental impact of puppy mills. The copious amounts of waste produced by these operations can potentially pollute the quality of a community's water, air and soil. Although puppy mills are located all across the United States, the ASPCA notes that the Midwest has the highest concentration of mills. Missouri appears to have the most mills of all, although there are also high concentrations in Pennsylvania, Ohio, and upstate New York. These mills are typically part of a larger farming operation, and they're operated strictly for profit. Over 2 million puppies sold in the U.S.A. each year came from a puppy mill. Roughly 167,388 dogs are kept solely for breeding purposes, and this number only represents dogs in USDA-licensed breeding facilities. Since there isn't enough data available to calculate the number of dogs used in unlicensed mill operations, the ASPCA believes its figures only account for about 30% of the total number. Of the estimated 10,000 puppy mills in the U.S., only 1,924 are licensed by the USDA. Licensed puppy mills produce approximately 1,022,740 puppies each year. A 2010 report from the HSUS indicates puppy mill housing typically consists of rabbit-type hutches which are often equipped with wire or solid-metal flooring that conducts heat and cold. The moms and their pups are overcrowded, and the wire floors often damage their feet. Illnesses run rampant because vaccinations and medical care are rarely, if ever, provided. The HSUS also notes that the collection of feces and urine below the grid flooring of wire hutches creates a breeding ground for flies. Indoor mills reek of ammonia fumes. The dogs living above the mess are never groomed and often suffer from serious infections. The only time a puppy is cleaned up is when it's time to be transported to a pet shop. The HSUS recommends solid flooring , although it must still be cleaned as often as necessary to avoid filfthy buildup. This rarely happens in a puppy mill. According to an article published in the Applied Animal Behavior Science journal, adult mill dogs are deprived of socialization, and this leads to a host of psycho-emotional problems. The dogs tend to be fearful, have difficulty coping with normal life outside their previous mill conditions, and appear to have learning deficits that lead to training difficulties. The Humane Society Veterinary Medical Association, females are bred repeatedly from their very first heat cycle and each one thereafter, essentially remaining pregnant or rearing a litter their entire short lives in the mill. Additionally, mill operators rarely, if ever, screen for hereditary defects in the breeding dogs or their offspring, so it's not surprising that many mill puppies turn out to have defects when examined by veterinarians. Breeders that are no longer able to produce, as well as puppies that fail to sell, are routinely discarded or destroyed. According to Animal Rescue Corps, veterinary euthanization cuts into profits, so mill operators typically dispose of these animals themselves by shooting or drowning them, among other methods. The Animal Welfare Act, as well as various other state laws, were designed to regulate wholesale dog breeding and transporting. Unfortunately, there simply aren't enough USDA inspectors to provide a meaningful presence at these facilities and enforce minimum care standards. Just because a cute pet shop puppy comes with registration papers, that doesn't guarantee it isn't the product of a puppy mill. For example, it's possible to register any litter with the American Kennel Club (AKC) as long as the parents are also registered. Confusing matters even more, it's difficult to prove if the parents listed on the registration paper are even the actual parents of the pup in question. It's important to ask questions in order to avoid accidentally supporting puppy mills. This is especially true if you're considering purchasing from a pet shop, but it's important to question breeders too in order to ensure a puppy has had a good start before coming home with you. Ask for the name of the breeder's veterinarian, and then check with that vet to find out if the pup ever received and initial health exam. If you're not dealing with a pet shop, request to purchase the puppy on-site rather than agreeing to meet in a public location. That way you can see the pup's living conditions for yourself. 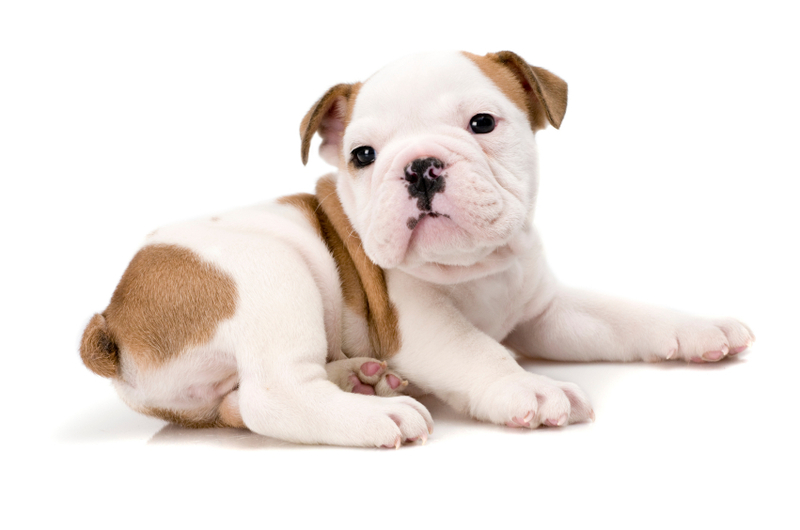 Don't purchase from a breeder who sells puppies that are less than 8 weeks old. Younger puppies haven't had enough time socializing with their mother and litter mates. Avoid breeders who always seem to have a litter ready to sell. That's a warning sign they may be more focused on producing a quantity of pups rather than high-quality pups. Ask to meet the puppy's parents so you can see them for yourself. Although this isn't practical at a pet shop, a breeder should own at least one of the parents. Pet shops and puppy mills often go hand in hand, so avoid purchasing your new puppy from a pet shop or a pet supply store. Applying a few precautions when shopping for the perfect puppy can reduce profits for unscrupulous breeders and may someday make puppy mills a thing of the past!